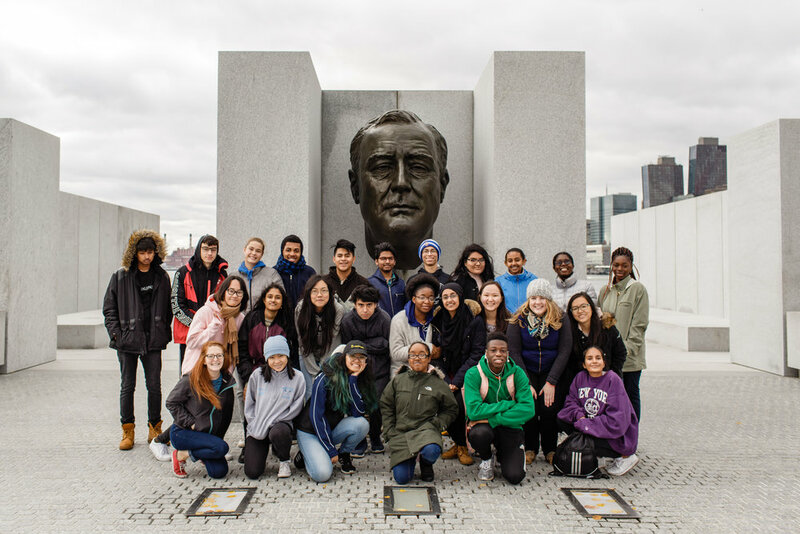 Earlier this month Four Freedoms Park Conservancy hosted high school juniors from the Intrepid Sea, Air, & Space Museum’s Youth Leadership Institute for a day-long educational workshop at FDR Four Freedoms State Park. The Intrepid Museum’s YLI selects exceptional students from across the five boroughs for their rigorous program, and we were thrilled that they wanted to return to the park again this year. 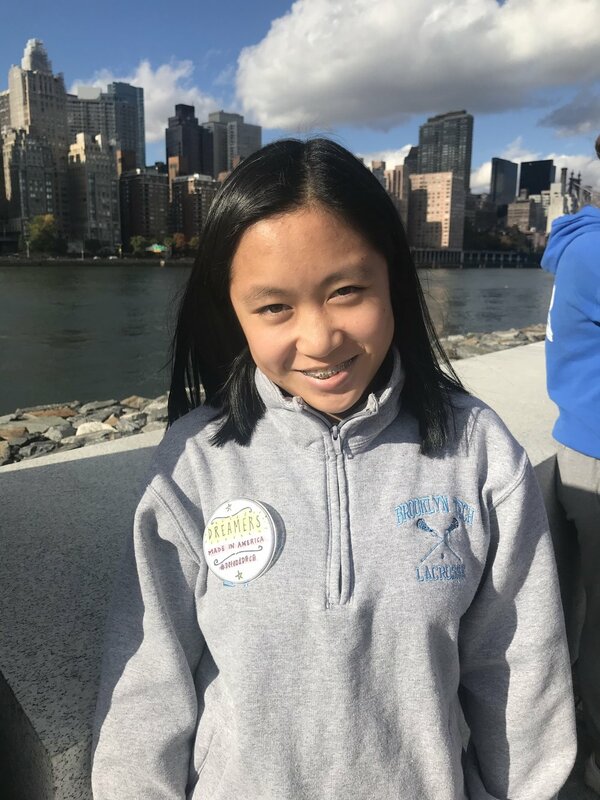 Next, during their guided tour of the park, students explored Louis Kahn’s architectural masterpiece, appreciating its minimalist design and breathtaking views of Manhattan and Queens. Then, using stories pulled directly from today’s headlines (including the controversial use of symbolic speech by NFL players during the national anthem, the tragic events in Charlottesville, and the Women’s March protests) these future leaders engaged in a thoughtful, respectful, and nuanced debate surrounding freedom of speech and its limitations, a discussion of vital importance in our present era. Lastly, the Intrepid teens got to create their own political buttons about issues that mattered to them personally. After learning about the history of political buttons the students were given tips on how to best express their beliefs through this fun medium. Many thanks to our friends at the Intrepid Museum for a very successful, educational, and inspiring day! We look forward to them returning next year. If you are interested in visiting FDR Four Freedoms State Park for an educational workshop we would love to host you! Contact education@fdrffp.org for more details.